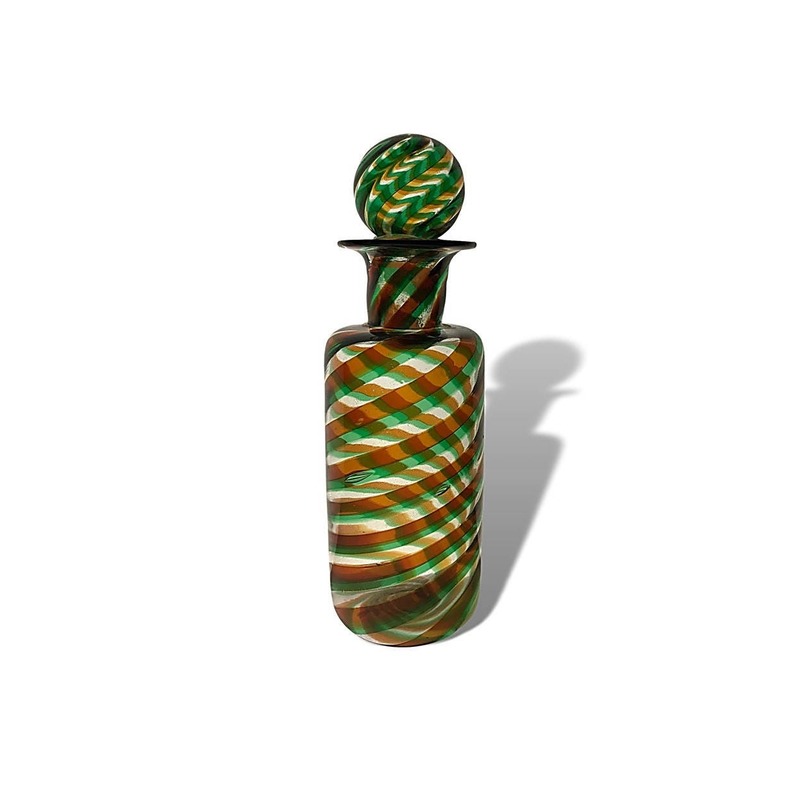 1950s BAROVIER TOSO Murano STRIATO Spirale Striped Glass Decanter - Super Rare! 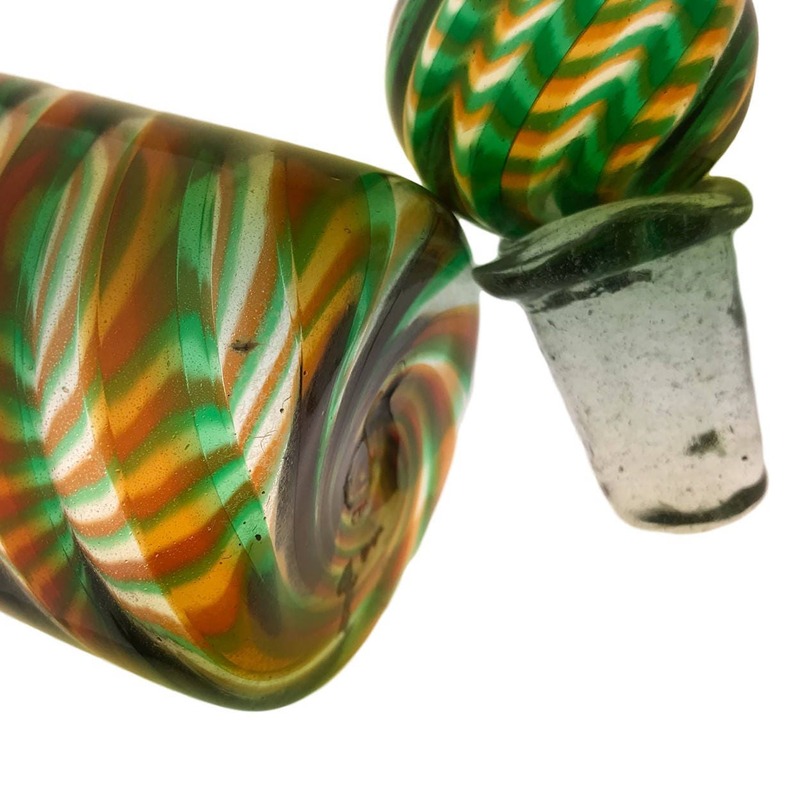 This incredibly rare masterpiece done in the early mid-century period, is a sublime example of the best artistry Murano glass has to offer. 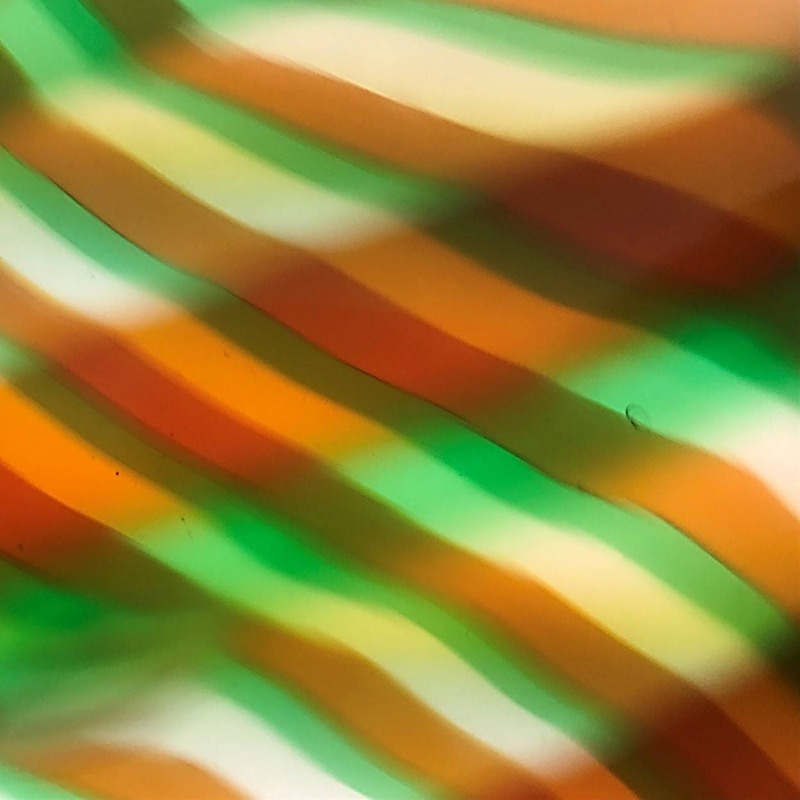 Wavering spiral canes of green and amber glass create an optical illusion of dancing colors and light. I've seen this method termed "striato" or "spirale" and it's so difficult to execute with such precision that there are precious few of these pieces in existance. Unlike our other STRIATO/SPIRALE decanter, the stopper body is done with a glass base, which may be more indicative of Fratelli Toso rather than Barovier & Toso. Nevetheless, I've seen similar pieces also ascribed to Barovier and the perfect ball stopper done in the alternating spiral canes would make finishing the base of the stopper in the same method impossible. Our decanter stands 7" tall and the tiny dark specks visible in the photo may be flecks of ash from the blowing process or merely dust in the decanter base. This piece is stain-free and in near mint condition.